Using the Herschel Space Telescope, astronomers have made giant strides in our understanding of the physical processes that lead to the birth of stars and their planetary systems. Surveying the sky for almost four years to observe the glow of cold cosmic dust embedded in interstellar clouds of gas, the Herschel Space Observatory has provided astronomers with an unprecedented glimpse into the stellar cradles of our Galaxy. “We are made of star stuff,” the astronomer Carl Sagan famously said, as the atoms that make us – our bodies, our homes, our planet – come largely from previous generations of stars. Indeed, stars and planets are continually born in the densest and coldest pockets of molecular clouds, where they take shape from a mixture that consists largely of gas but also contains small amounts of dust mixed in. As part of a cosmic recycling process, stars also return their re-processed material after their demise, enriching this interstellar medium that pervades all galaxies, including our Milky Way, with heavy elements produced in their nuclear furnaces and during the violent explosions that end the lives of the most massive stars. Astronomers have long been aware that stars take shape as interstellar material comes together and condenses, then breaks up into fragments – the seeds of future stars – but many details of this complex process remained unclear until not so long ago. 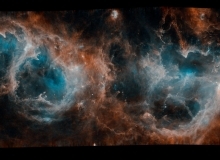 What turned the tables in the understanding of how stars are born was ESA’s Herschel Space Observatory, a trailblazing mission that was launched in 2009 and operated until 2013. Making sense of the Universe we live in is a fascinating endeavour forged over thousands of years by the incessant work of countless dedicated early thinkers, philosophers, and more recently, by scientists. This continuous process is punctuated by major discoveries, often made possible by the onset of new instrumentation that opens another window on the world, amplifying or expanding our senses. Enabling astronomers to observe farther and in greater detail for the past four centuries, the telescope has been key to establishing our physical understanding of the cosmos. Similarly, the progress in astronomical detectors – from the human eye to photographic plates, a couple of hundred years ago, and to a wide variety of electronic devices over the past century – has been just as revolutionary for the development of these investigations. The discovery of light at wavelengths other than the visible band, in the nineteenth century, and its application to astronomy in the twentieth, have furthered this process, revealing entirely new classes of cosmic sources and phenomena, as well as unexpected aspects of known ones. The cooler an object is, the longer the wavelengths of light it emits, so observing the sky in the far-infrared and sub-millimetre domains provides access to some of the coldest sources in the Universe, including cool gas and dust with temperatures of 50 K and even less. 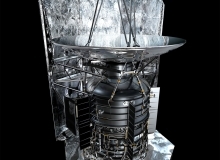 Boasting a telescope with a 3.5-meter primary mirror – the largest ever to observe at far-infrared wavelengths – and detectors cooled to just above absolute zero, Herschel could perform observations with unprecedented sensitivity and spatial resolution at the wavelengths that are crucial to delve into the tangle of star-forming clouds. 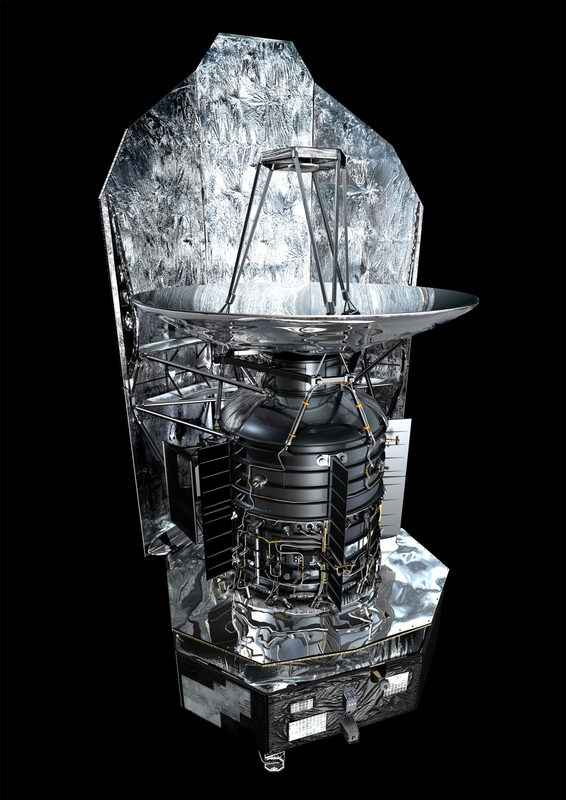 This made Herschel much more capable of mapping the direct emission from cold dust than its predecessors, which include the US-Dutch-British Infrared Astronomical Satellite (IRAS), ESA’s Infrared Space Observatory (ISO), NASA’s Spitzer Space Telescope, and JAXA’s Akari satellite. 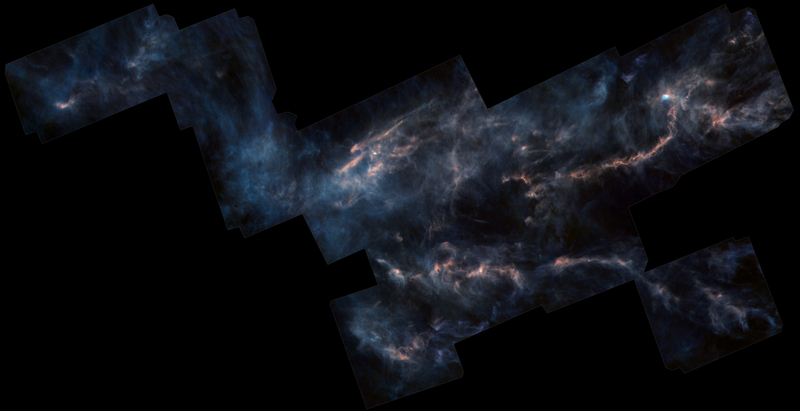 Dust is a minor but crucial component of the interstellar medium that obscures observations at optical and near-infrared wavelengths. As such, it had long stood in the way of astronomers getting to the bottom of star formation, in our Milky Way as well as in other, more distant galaxies. Herschel turned the situation around completely. 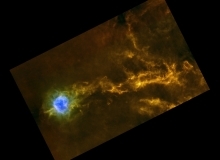 Rather than being a problem, the dust became a crucial asset for astronomers: shining brightly at the long wavelengths probed by the observatory, dust could be used as a tracer of interstellar gas across the Galaxy and, most importantly, of its densest regions – the molecular clouds – where star formation unfolds. 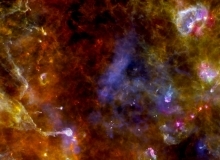 In addition, Herschel provided the unique possibility to observe, with unprecedented spectral coverage and resolution, a vast number of lines in the spectra of gas clouds produced by atoms and molecules that are present, albeit in small amounts, in the gas. Together with the observation of dust, these atomic and molecular lines were instrumental in tracking down the properties of gas in a vast number of star-forming clouds. 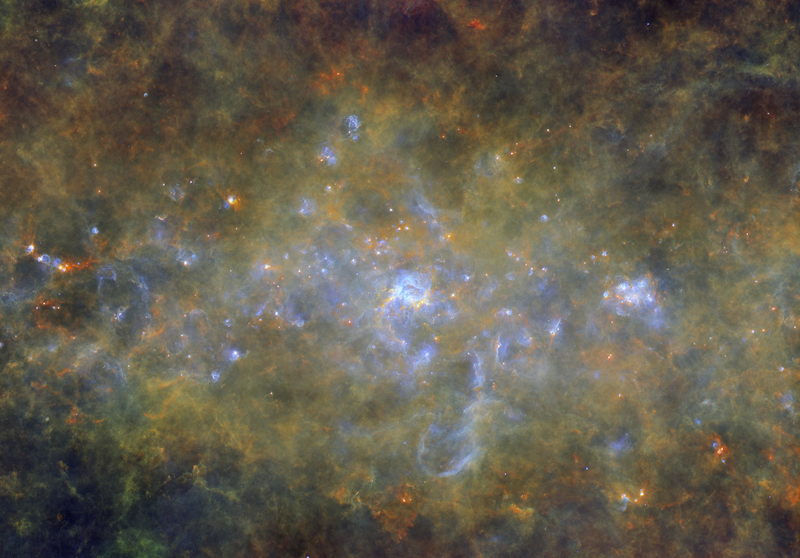 Several of Herschel’s Key Programmes were dedicated to studying the birth of stars in molecular clouds, near and far, in our Galaxy. Prominently among them, the Herschel Gould Belt Survey concentrated on areas close to home, gathering exceptionally detailed observations of the nearest star-forming regions, which are located in clouds collectively forming a giant ring out to 1500 light-years from the Sun. Another project, the Herschel imaging survey of OB Young Stellar objects, looked specifically at how massive stars are born. And finally, the Herschel infrared Galactic Plane Survey performed a complete census of stellar nurseries across the Milky Way by collecting a 360-degree view of the Galactic Plane. These three observing programmes alone spent over 1500 hours of observations to investigate star formation. The most striking discovery that emerged from these extensive surveys was a vast and intricate network of filamentary structures weaving their way through the Galaxy. Finding filaments per se was not a novelty – similar structures had already been detected in previous decades – but their ubiquitous presence was definitely remarkable. 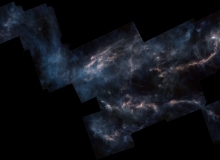 Herschel was the first observatory to reveal filaments nearly everywhere in the interstellar medium, from small ones, only a few light-years long, to giant threads extending over hundreds of light-years. Such structures were spotted in all types of clouds, also in those with no ongoing star formation. Astronomers wondered: why do some filaments produce stars, while others do not? The bounty of new data revealed not only that filaments are omnipresent, but also that they seem to have very similar properties, at least in our local neighbourhood. Regardless of their length, all filaments observed in nearby clouds have a universal width – about one third of a light-year. The origin of these interstellar filaments and of their universal width is likely linked to the turbulent dynamics of gas in interstellar clouds. In fact, the width corresponds to the typical scale where gas undergoes the transition from supersonic to subsonic state, suggesting that filaments arise as a result of supersonic turbulence in the clouds. 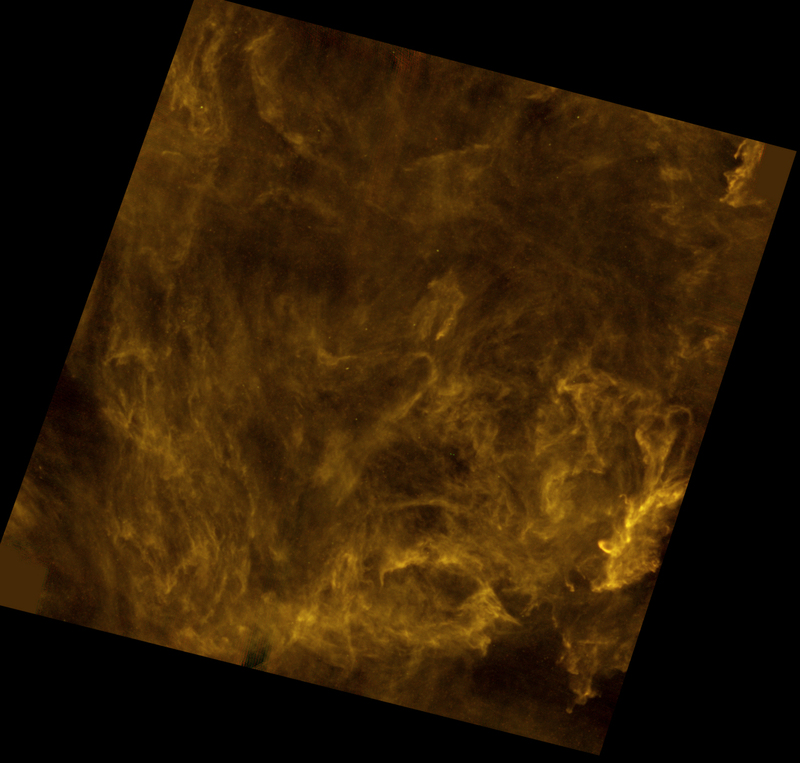 After 2010, when the first studies of Herschel observations were published, it became clear that interstellar filaments are crucial elements in the process of star formation. Evidence from Herschel observations continued to pile up over the following years. Filaments appear to precede the formation of stars in our Galaxy and, in some cases, they facilitate it. But only filaments that exceed a minimum density threshold seem to be active in the production of stars. Taking account of the accumulating evidence, astronomers developed a new model to explain how stars of low mass, like our Sun, are born. In this two-step scenario, first a web of filaments arises from turbulent, supersonic motions of gas in the interstellar material. Later, but only in the densest filaments, gravity takes over: filaments then become unstable and fragment into clumps which, in turn, start to contract and eventually create pre-stellar cores – the seeds of future stars. Even if ubiquitous, filaments represent a small fraction of the total mass that makes up the Galaxy’s interstellar medium, and only the densest of them partake in the highly inefficient process of star formation. 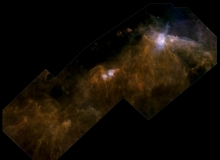 While dense filamentary structures are beyond doubt the preferred sites for stellar birth, Herschel also observed some stars that appear to be forming in regions where filaments have not been identified. Massive stars, exceeding several times the mass of the Sun, are rare but extremely bright and powerful objects that have a significant impact on their environment. Their formation has been a conundrum that has eluded explanation for many decades because of the difficulty in reconciling the enormous radiation pressure that arises as they take shape with the fact that this is sufficient to disperse the material and stop the accretion process entirely. Because of the larger masses and energy outputs involved, these stars must come to life in conditions that are quite different from those found in the birthplaces of their lower-mass counterparts. As revealed by Herschel’s observations, massive stars appear to form in the vicinity of gigantic structures such as ridges (massive, high-density filaments) and hubs (spherical clumps of matter) that may arise at the intersection of ordinary filaments. With their enormous reservoirs of gas and dust, ridges and hubs can provide the sustained flow of material needed to support the growth of huge stellar embryos. In these extreme environments, also called ‘mini-starbursts’, star formation can reach very intense levels, eventually giving rise to stellar clusters hosting primarily massive stars. While highlighting the different phenomena that lead to the formation of high- and low-mass stars, Herschel has also brought them together within a common framework. As part of a continuous process taking place on all scales, the interstellar material is stirred up, compressed and confined in a variety of filamentary structures, whose later collapse under gravity and subsequent fragmentation gives rise to a multiplicity of different stars. 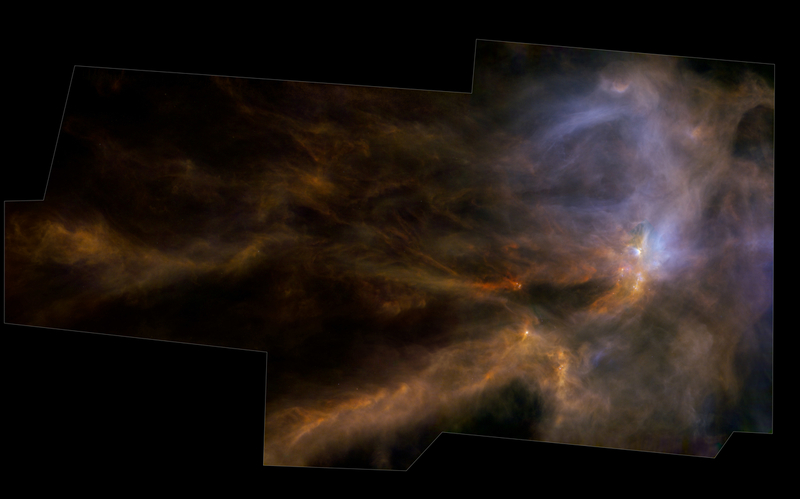 Within less than a decade, astronomers using Herschel’s extraordinary data have shown how the seemingly complex phenomenon of star formation can be understood in terms of simple and universal processes. Observations of nearby galaxies indicate that similar processes might be at play also beyond the confines of our Milky Way. 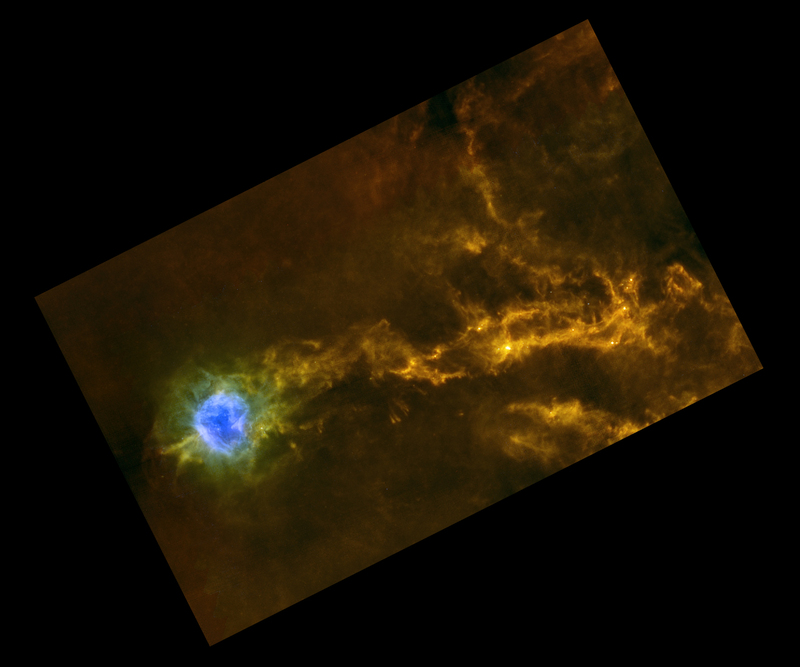 During its surveys of star-forming regions, Herschel has also observed many protoplanetary disks around very young stars, providing a glimpse into the raw material that will eventually build up these stars’ planetary systems. However, as new observations offer an answer to old questions, many new questions arise, some of which remain unanswered. 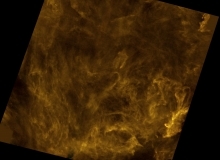 Astronomers are still investigating a number of crucial aspects of star formation, such as the origin of filaments in molecular clouds, the dynamics of matter accretion, and the role of magnetic fields in the process. 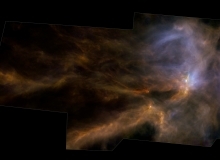 To address some of these questions, in particular the formation of filaments, Herschel observations of various molecular clouds have been compared with measurements of the magnetic field in these clouds, obtained using ESA’s Planck satellite and ground-based observatories, as well as with predictions of numerical simulations. The comparisons show that the magnetic fields tend to be perpendicular to the densest, star-forming filaments and parallel to lower-density filaments, known as striations, that flow into the denser ones, contributing to their growth. Future studies and even more detailed observations will be needed to confirm and elucidate how magnetic fields do, as suggested, play a strong role in the process of star formation, contributing to deepening our understanding of this fascinating phenomenon. 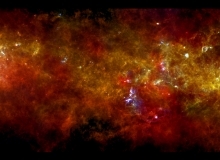 Be the first to comment on "Herschel Space Telescope Helps Unlocked the Secrets of Star Formation"